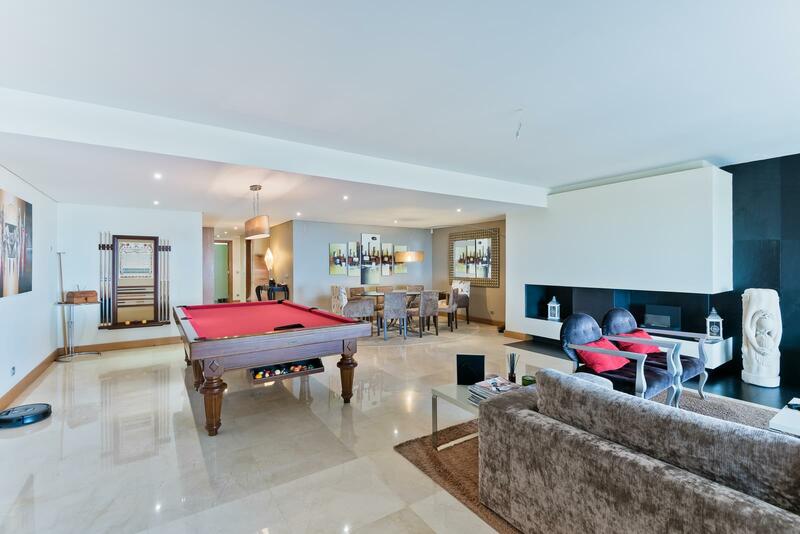 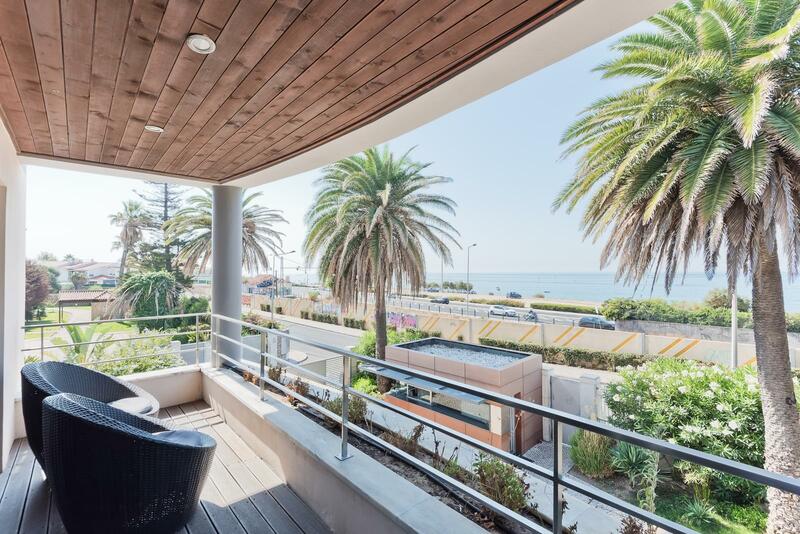 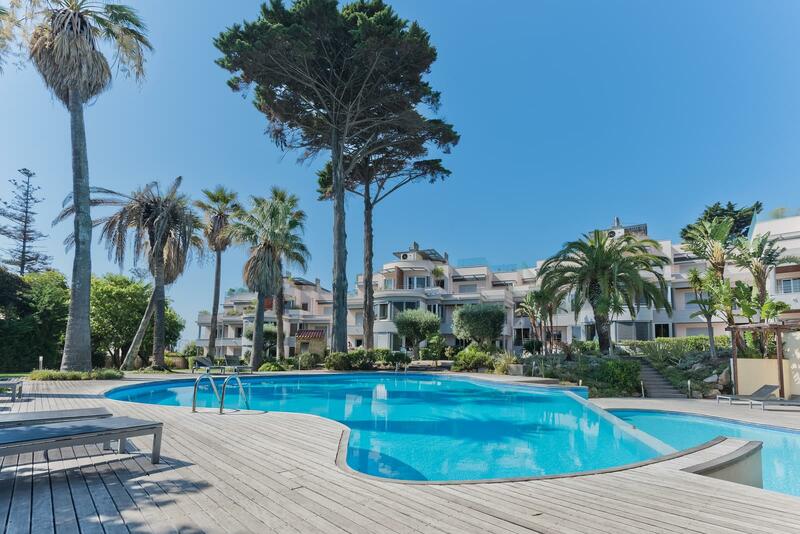 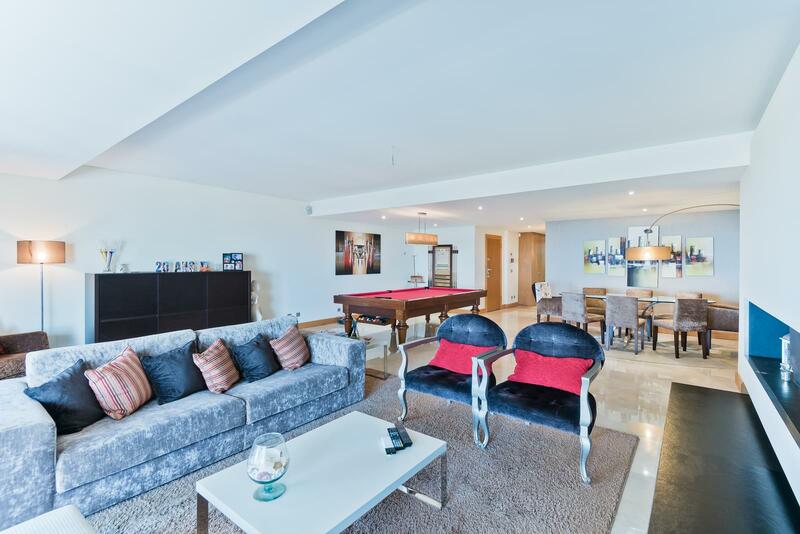 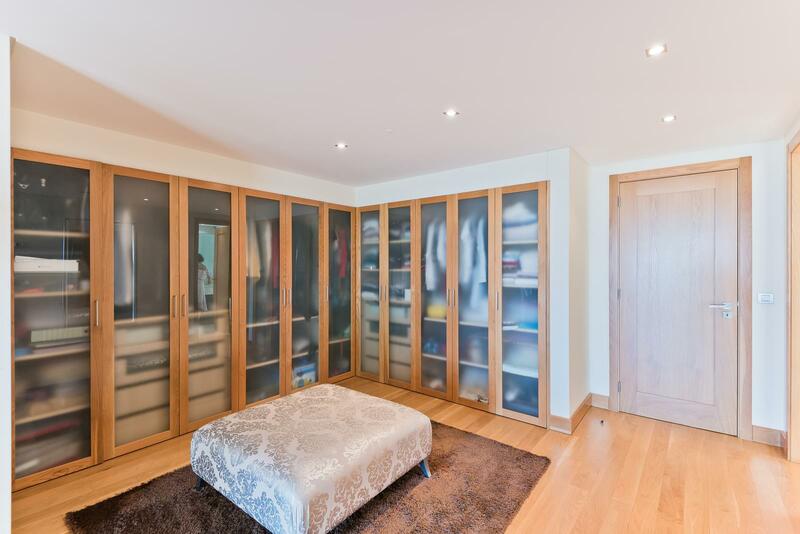 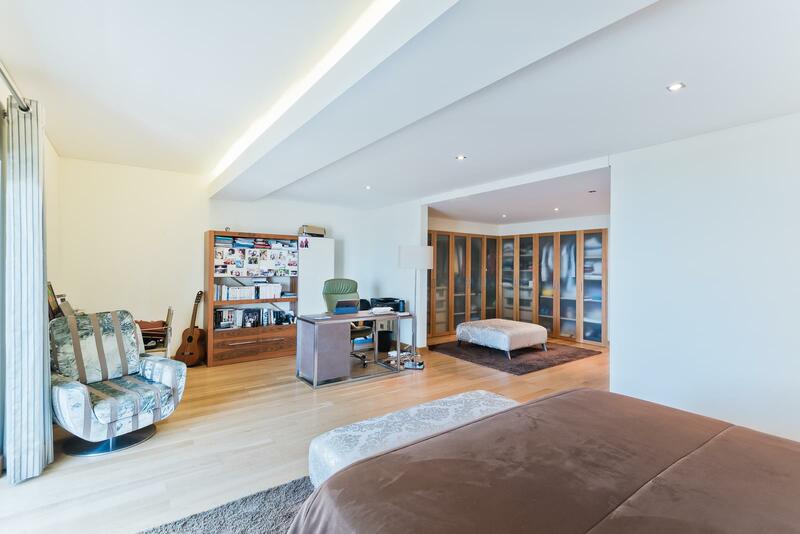 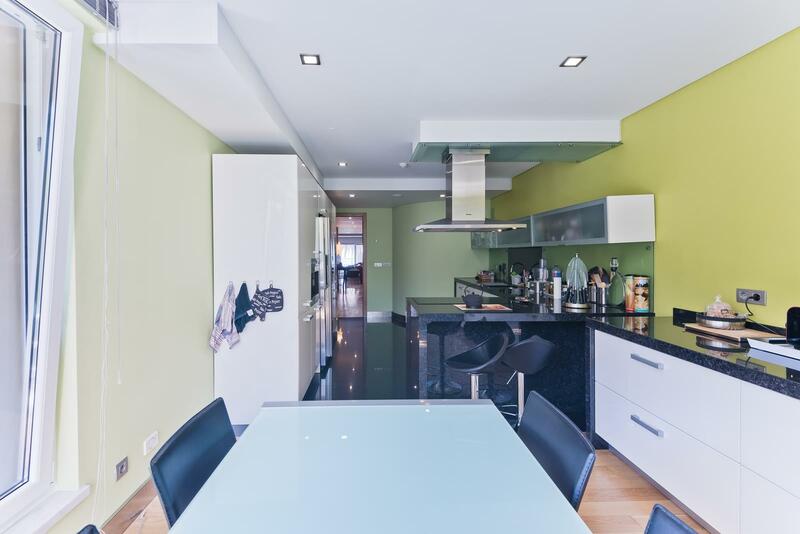 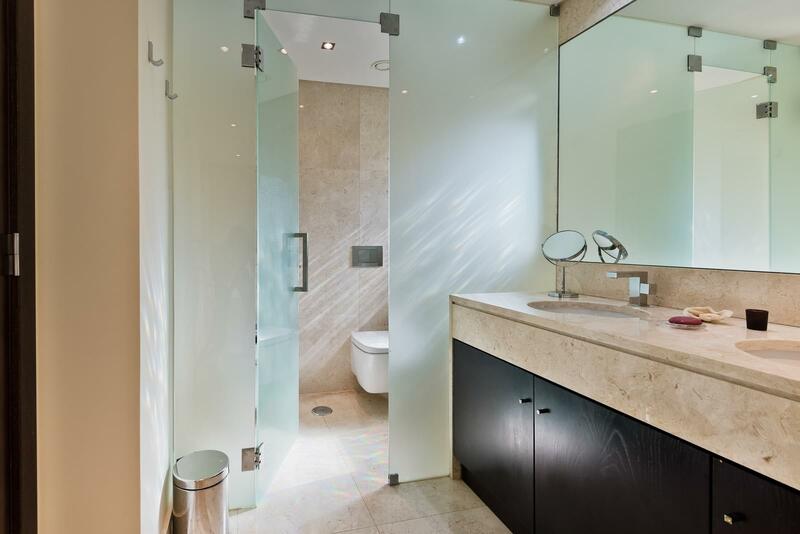 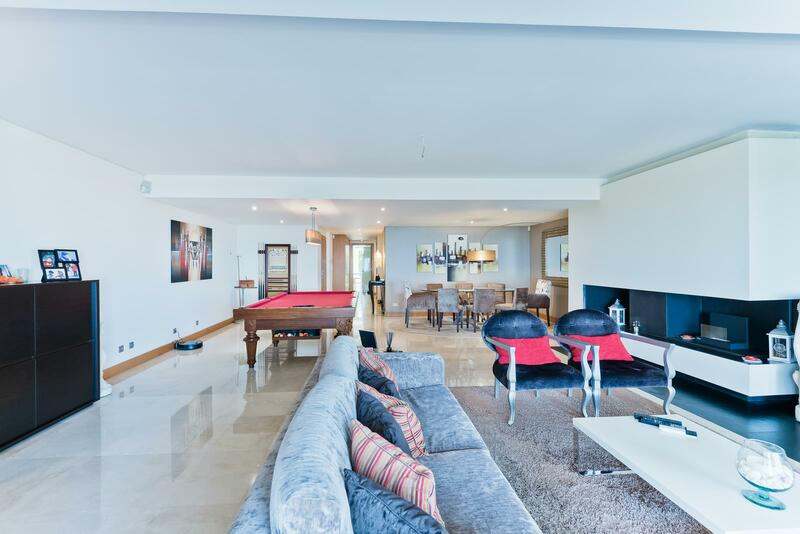 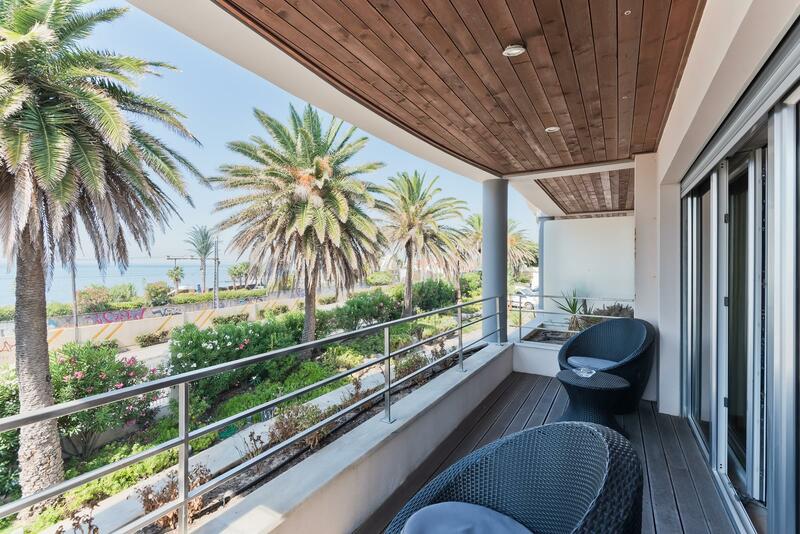 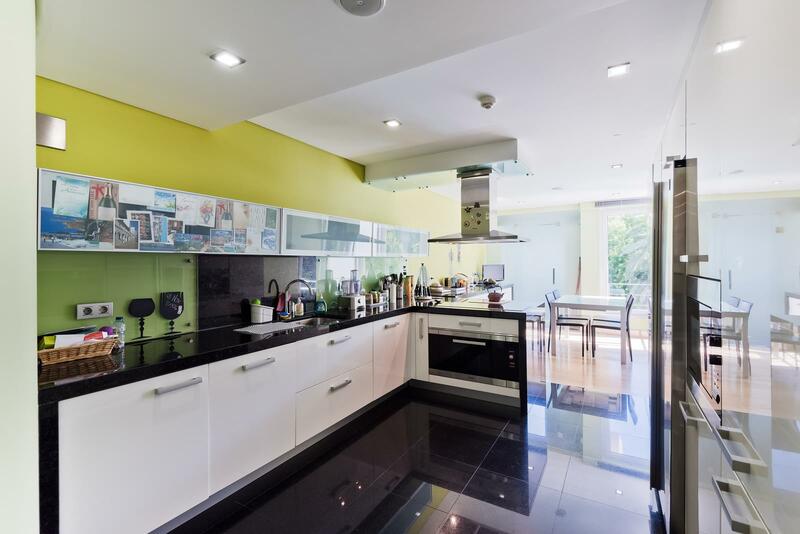 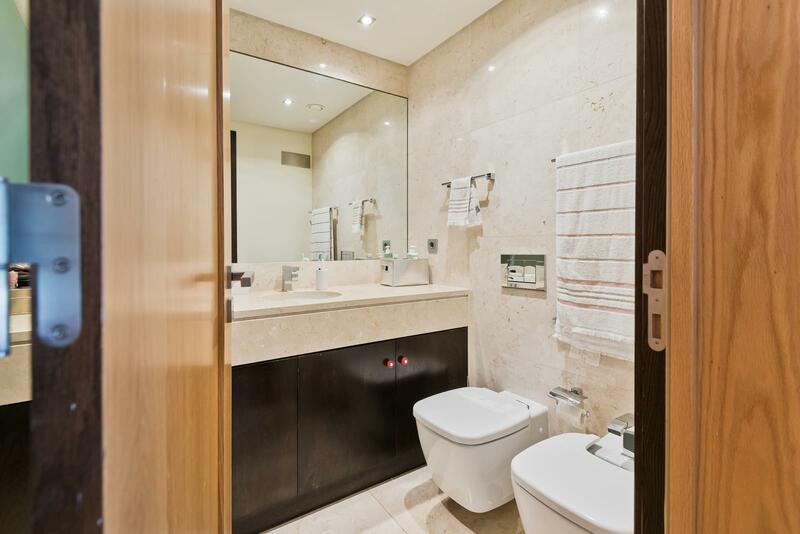 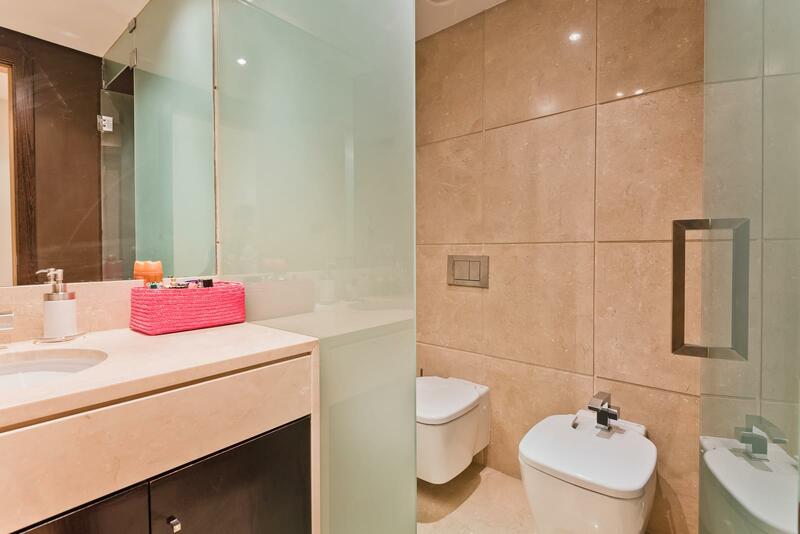 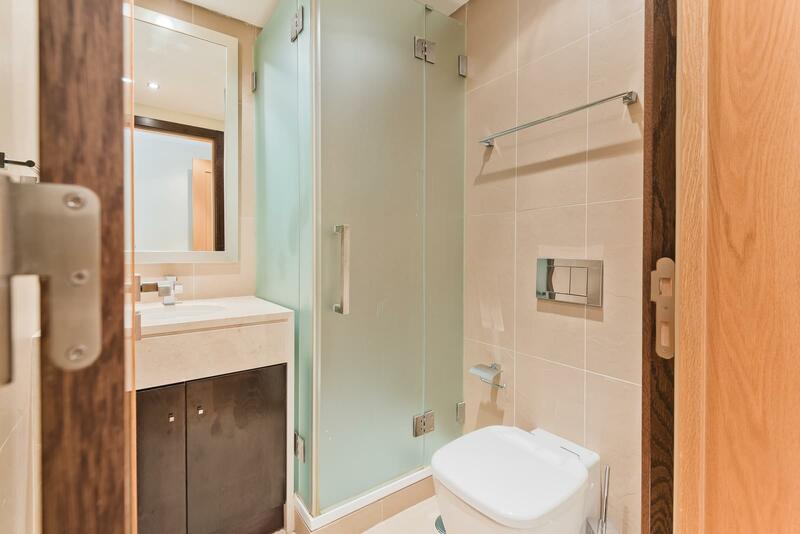 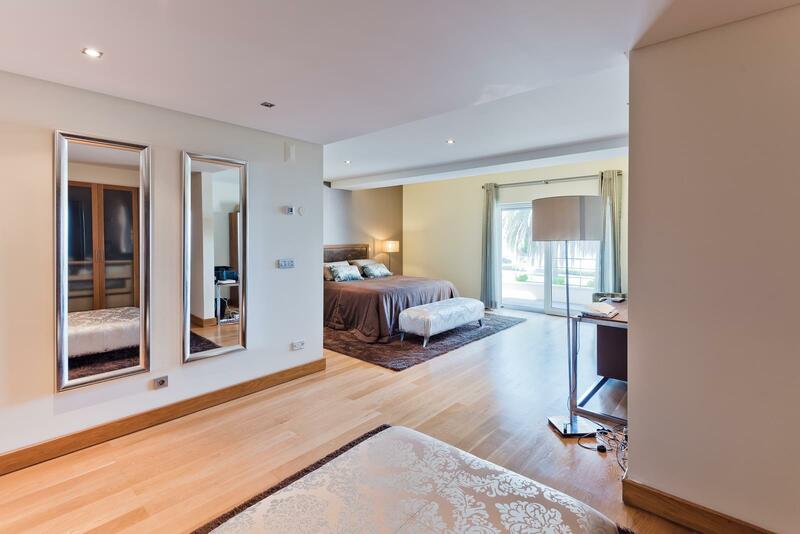 Great 4 bedroom apartment with 354 sqm of gross living area with a sea view in a prime area. 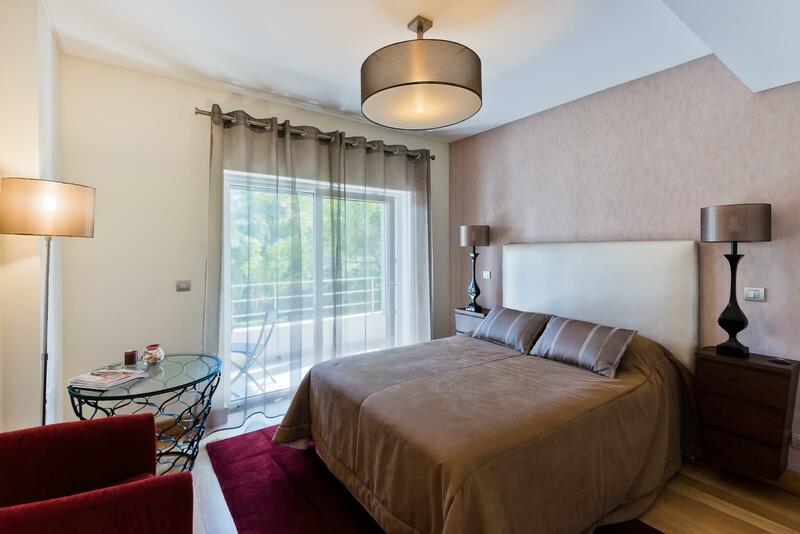 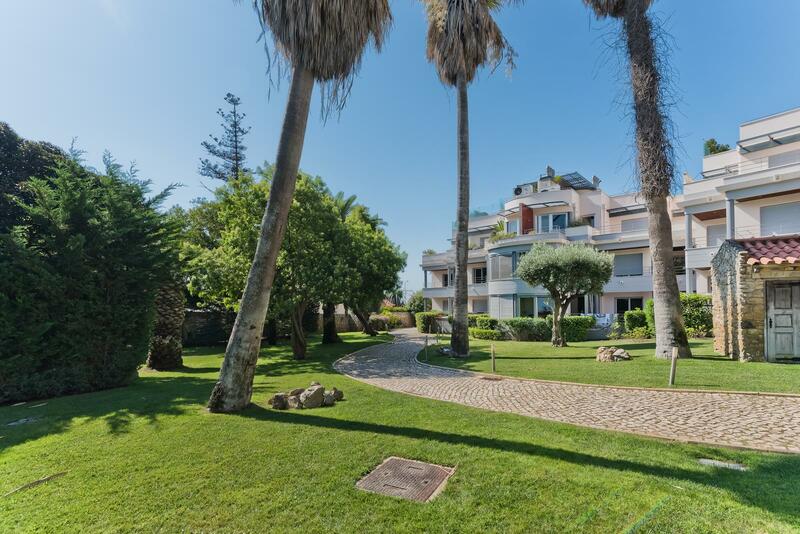 The Quinta da Condessa is a prestigious closed condominium located in Parede very close to the beach. 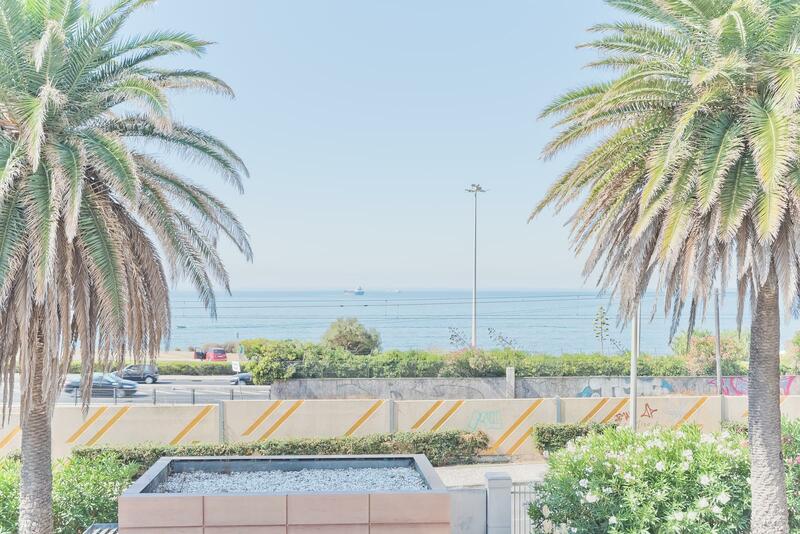 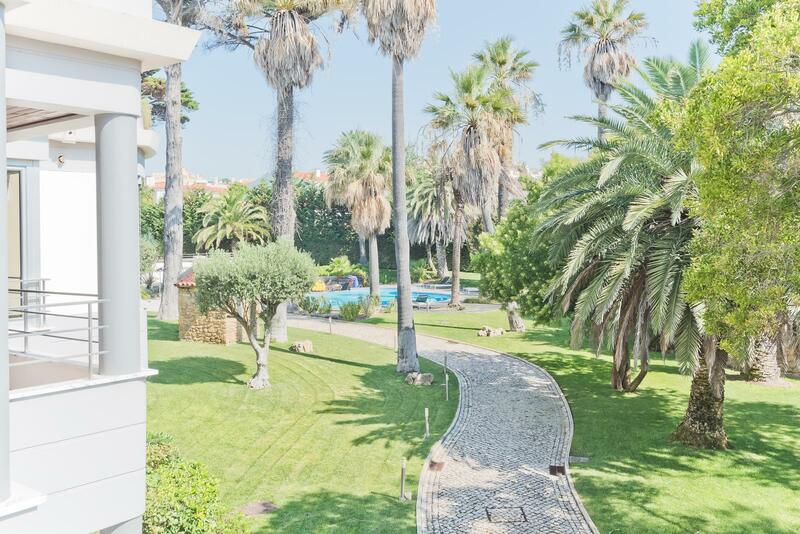 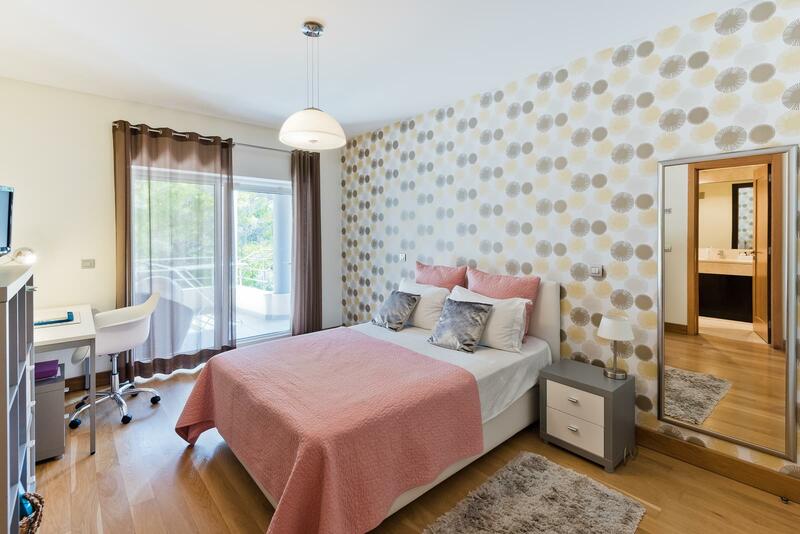 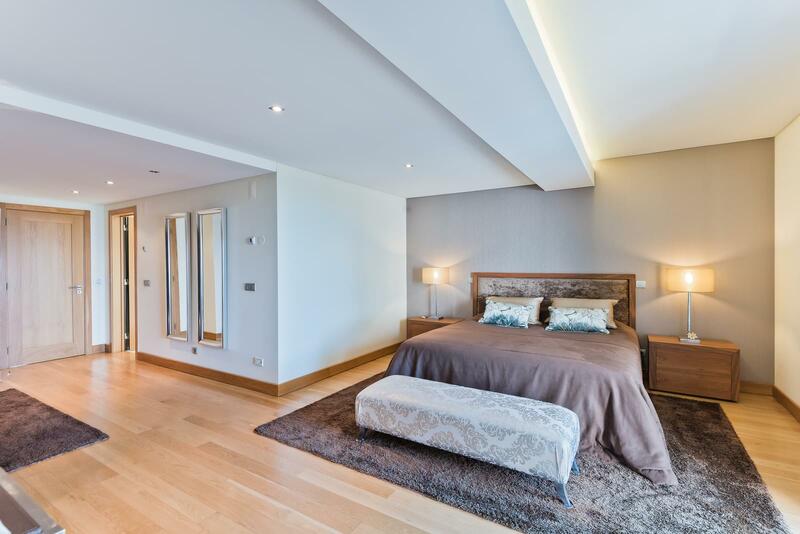 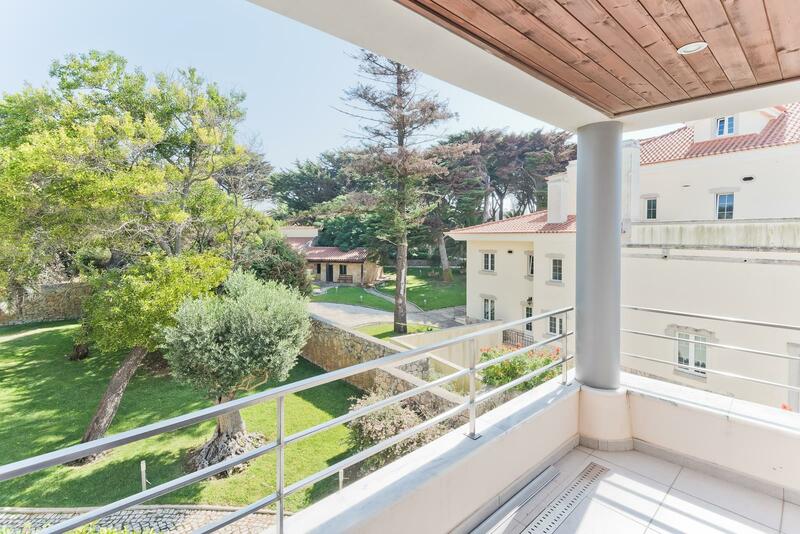 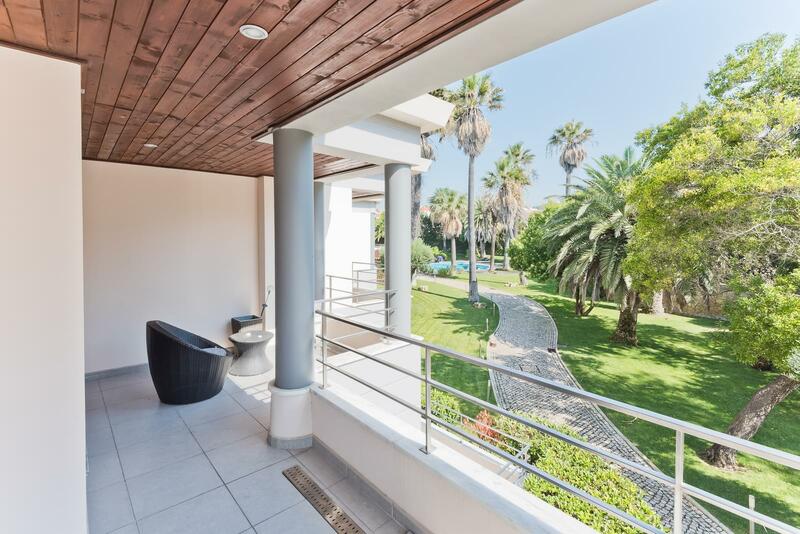 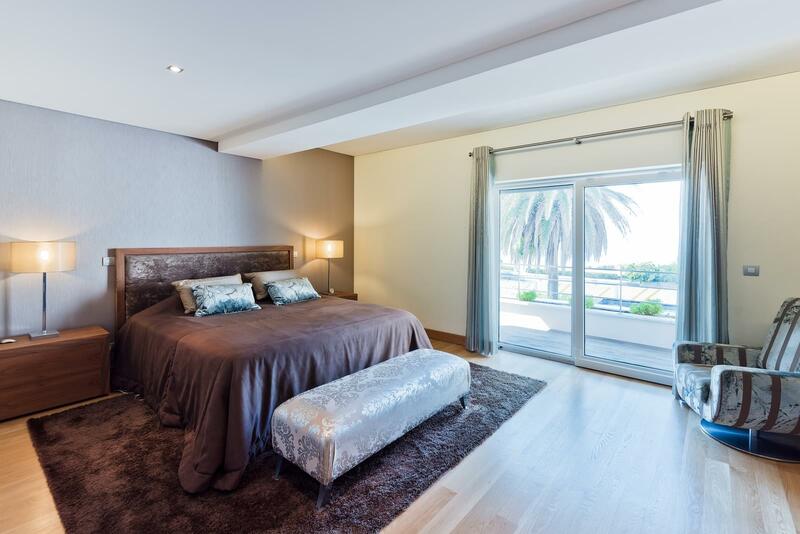 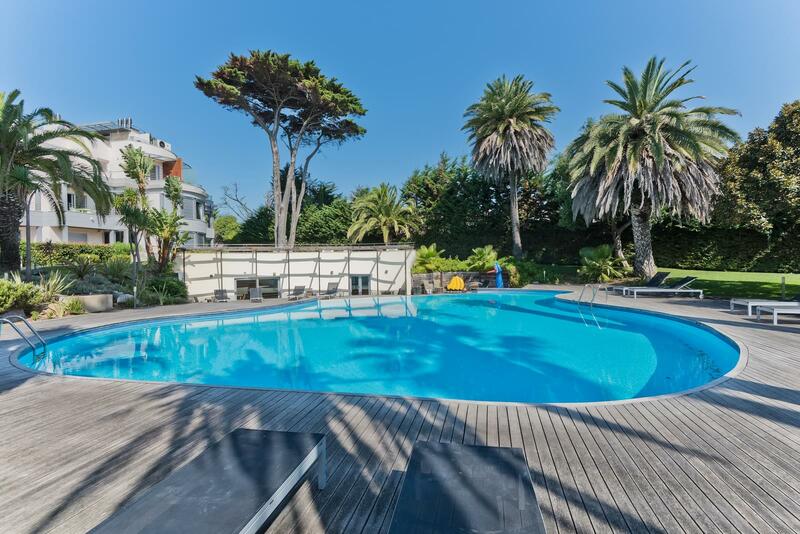 It comprises 4 buildings of modern design which are in the historic Quinta da Condessa which is one of the very few spaces situated right in front of the sea. 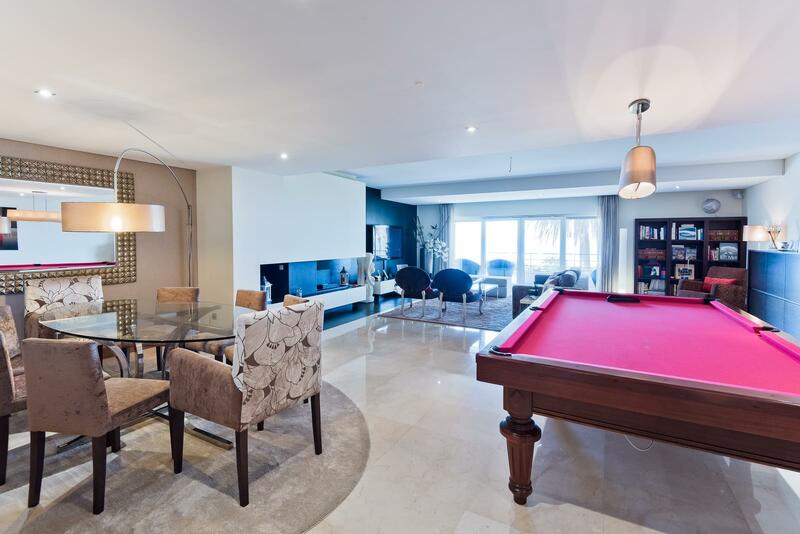 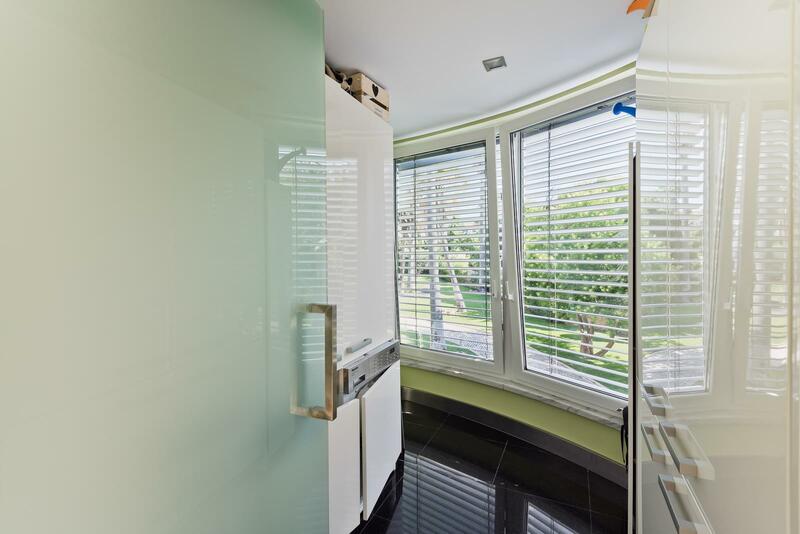 The condominium has extensive gardens with a number of different leisure areas, swimming pools, a gym, a condominium room and 24 hour security. 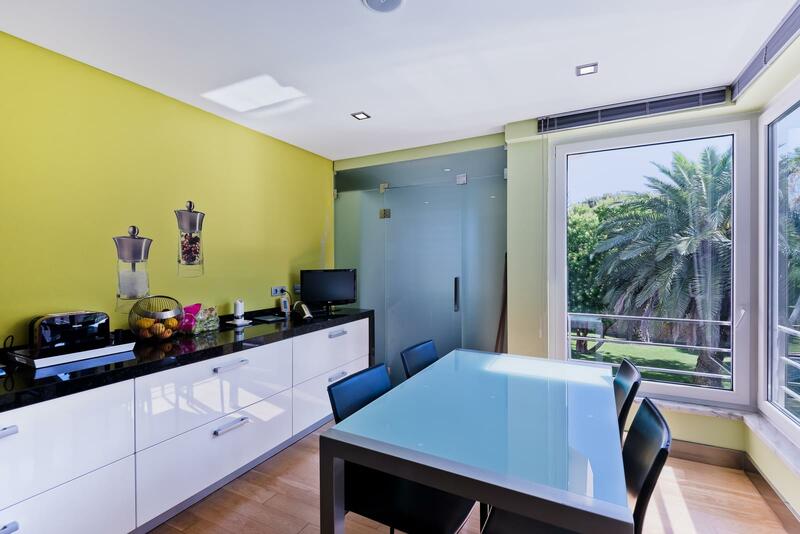 The apartment has other favourable criteria such as its selection of finishes, an entrance hall, a living/dining area of 71 sqm with a firpelace, 3 suites, 1 of which is the main suite of 44 sqm with a closet, a bedroom with a full bathroom, a guest bathroom and a fully equipped kitchen of 24 sqm with a breakfast area and which opens onto a fantastic terrace with a wooden deck.